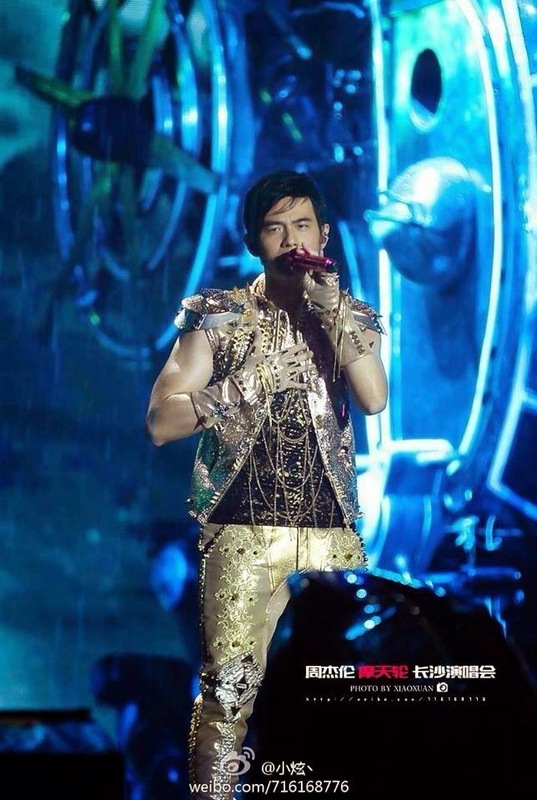 Jay Chou Diaoness: OPUS JAY: Changsha 10052014 & Mother's Day! 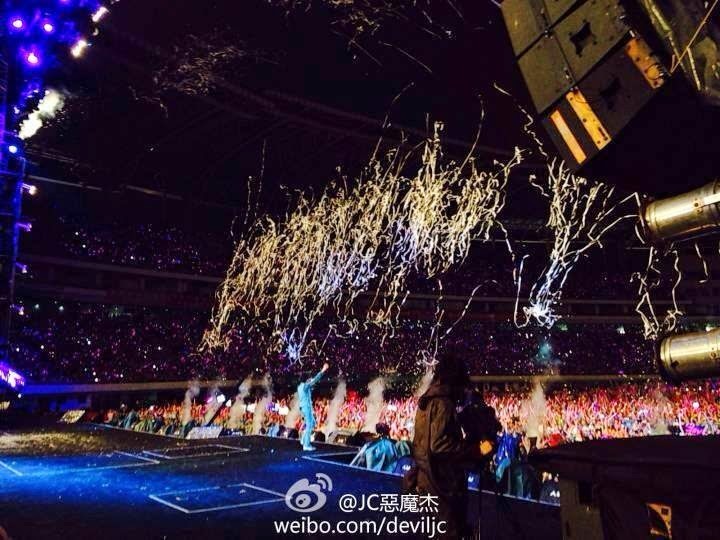 OPUS JAY: Changsha 10052014 & Mother's Day! Take a good look at that photo. 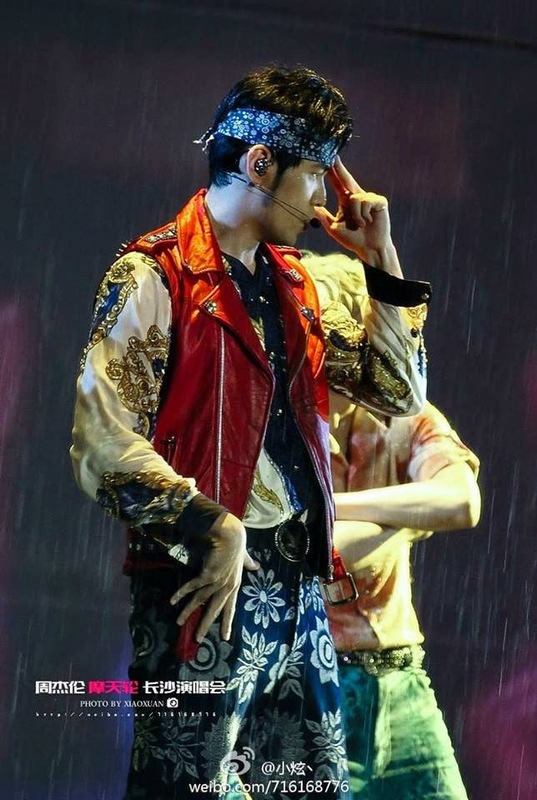 Yup, those are raindrops in the background. 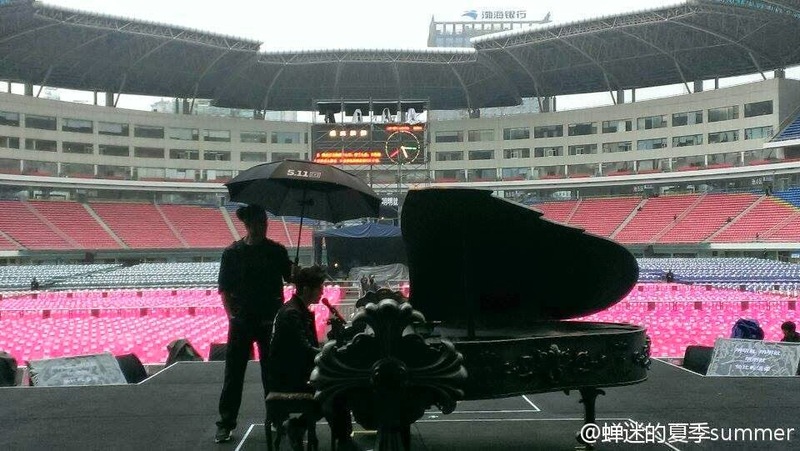 Reports of inclement weather had already come out in the afternoon yesterday when Jay was rehearsing and it brought to mind one of his concerts last year when his trusty bodyguard sheltered him with a huge umbrella when he was singing, of all songs, Clear Day. 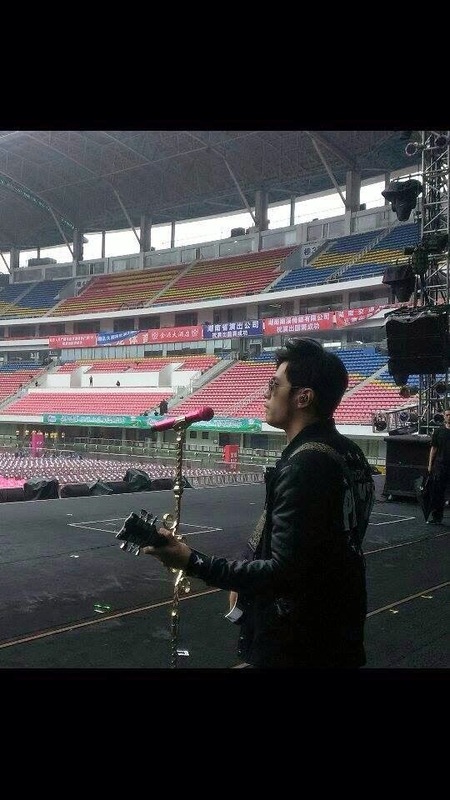 There's Xia Banzhang taking care of our Jay as he rehearses. 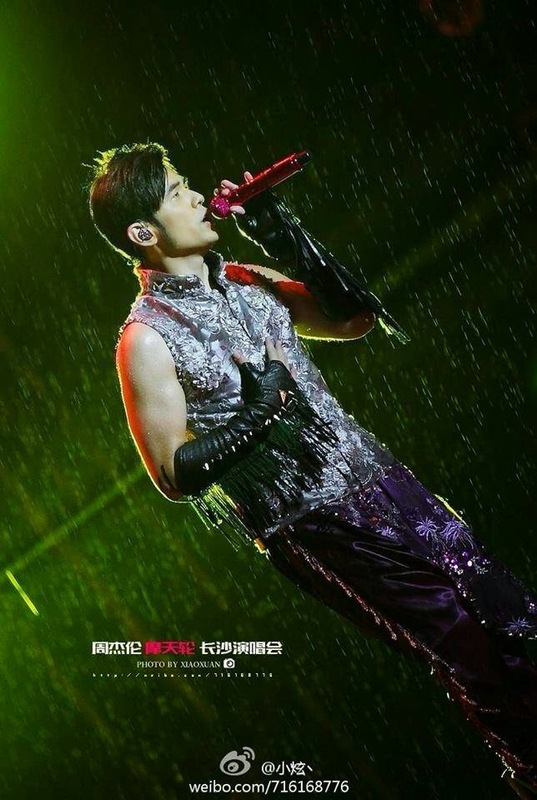 The rain did not let up but the fans were clearly not going to let something like that stop them from attending a Jay Chou concert and making the best of it. 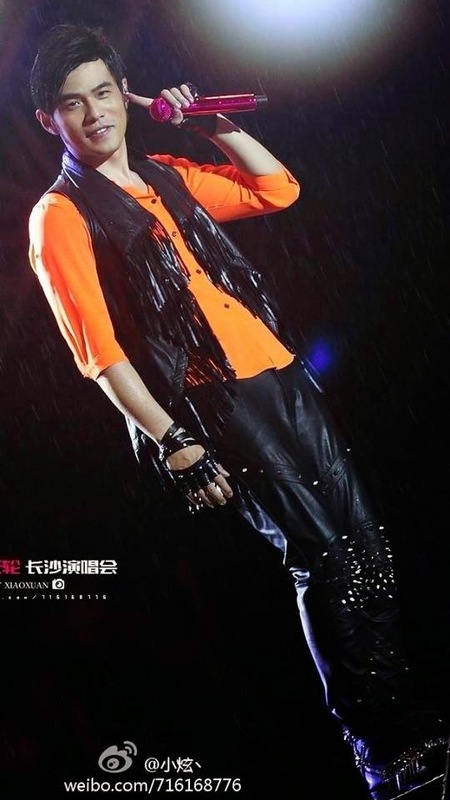 If anything, I'm certain they were more determined than ever to show Jay that their love and support for him would prevail in spite of the cold and wet weather. 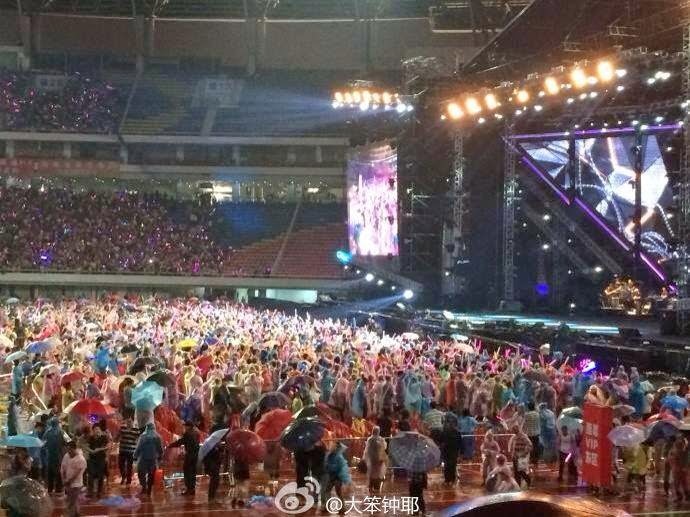 After all, what are umbrellas and ponchos for?? 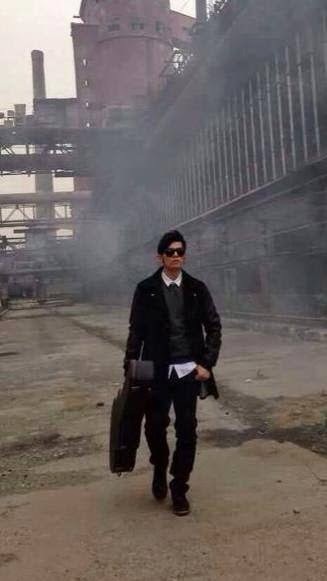 Lang Zi Gao was back in action! 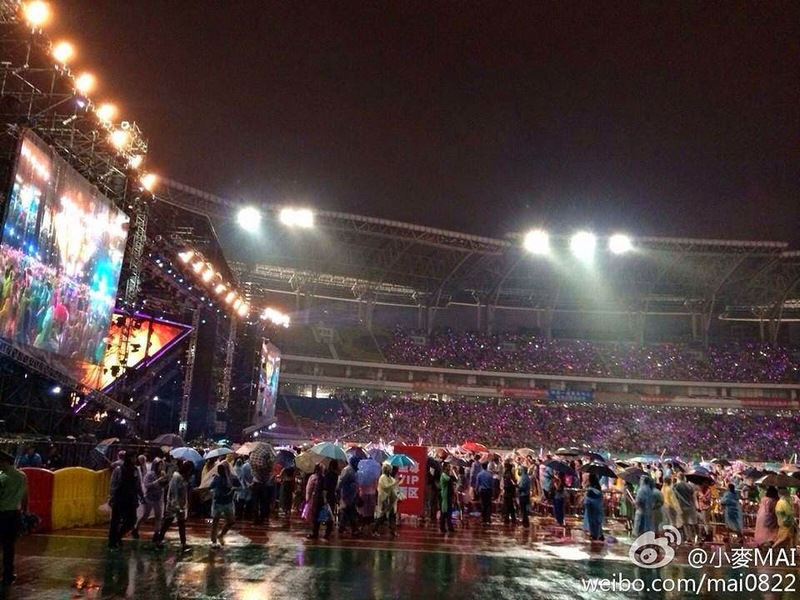 Brollies and ponchos out in full force! Adorable Lady and Clear Day, where he quipped that he hoped the latter song would make the rain stop. Listen To Mother's Words and Silence, the former song being all the more meaningful because today is Mother's Day! 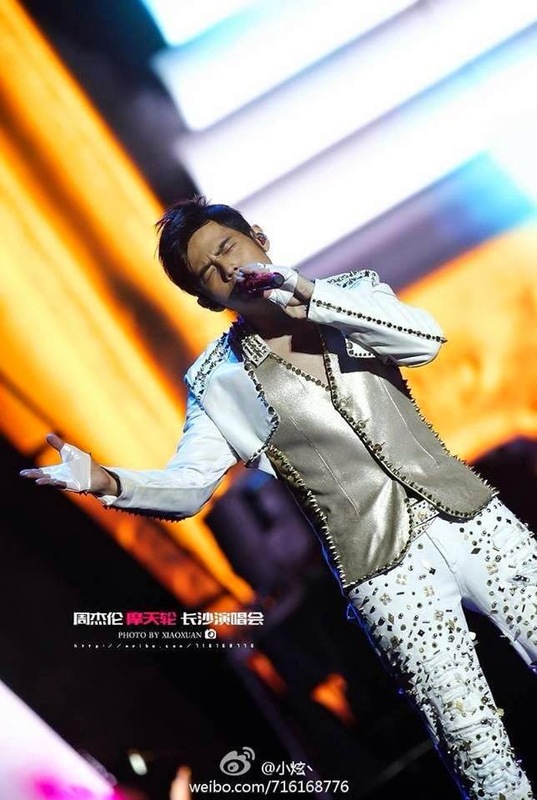 "As long as you have me and my music, the world will not end." "Please don't fall ill. Go home and take a hot bath." 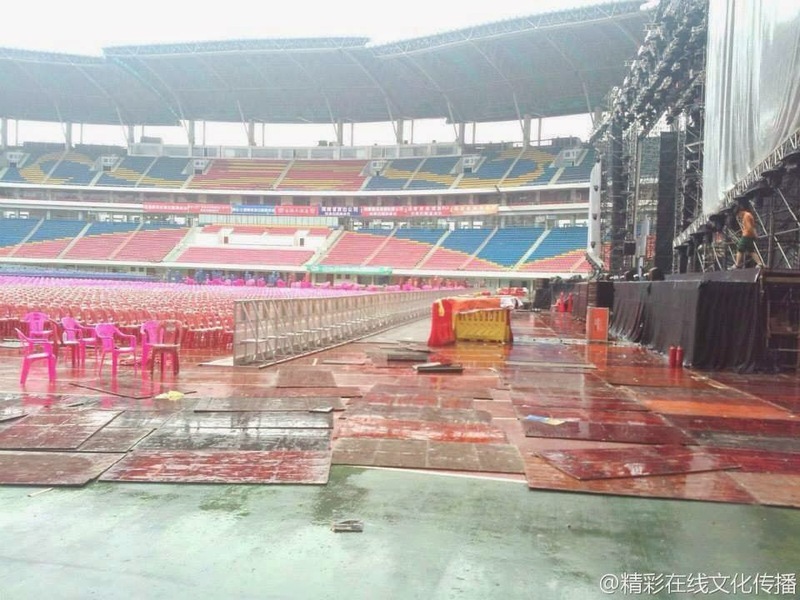 "I hope that by singing this song (Clear Day), the rain will stop." I heard there was no after-party and I'm not too surprised. 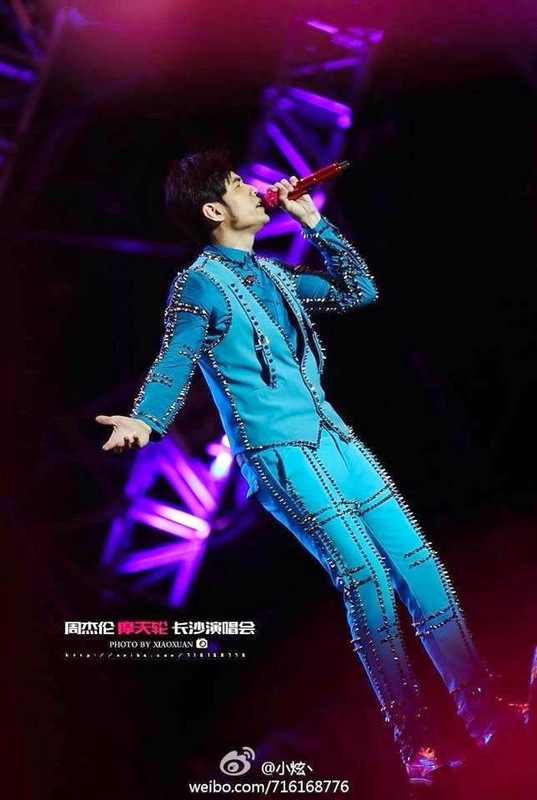 I'm pretty sure he has been quite tired out as he was in Beijing on Friday, shooting a commercial (or magazine story) and only got into Changsha on Saturday itself. 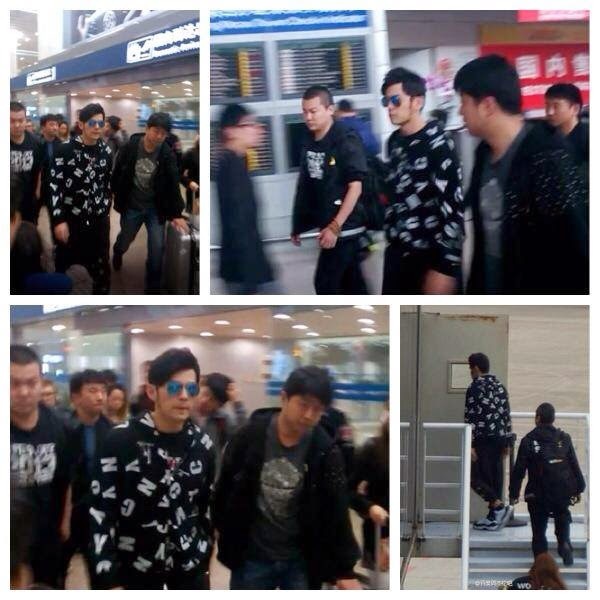 Anyway, he has left Changsha and is headed home. I hope you had a nice hot bath after the concert too! 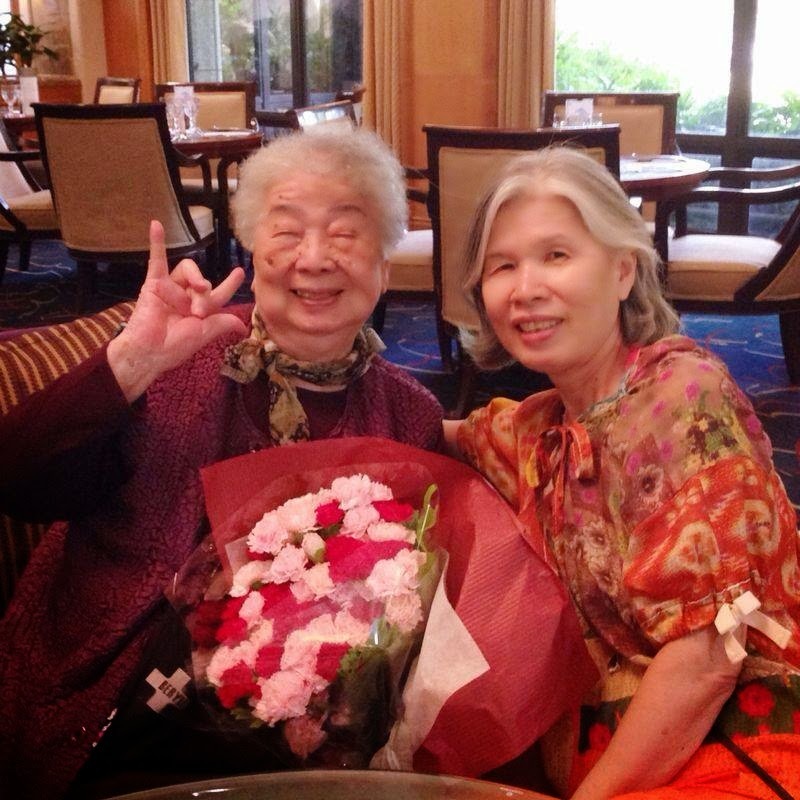 And Happy Mother's Day to Grandma and Mama Chou, the original J-Girls! 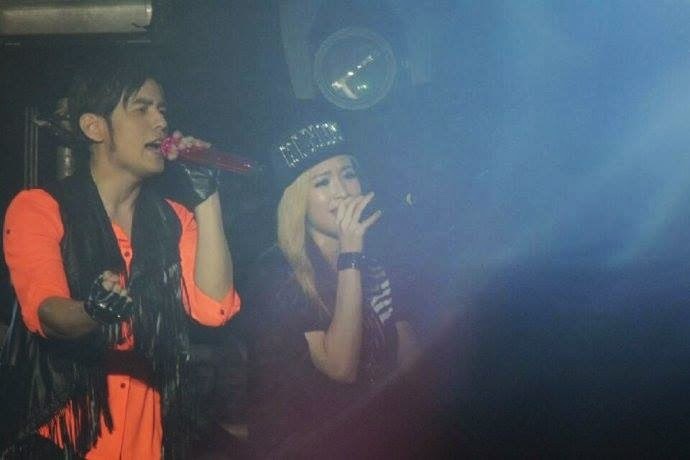 No one else can compare to their awesomeness! Remember to show your love to your Mums all the time too! 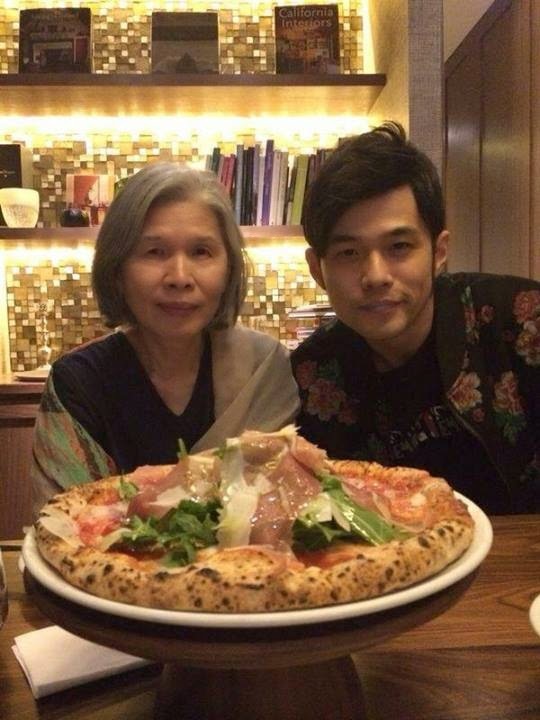 Jay managed to get back to Taipei in time to celebrate Mother's Day! 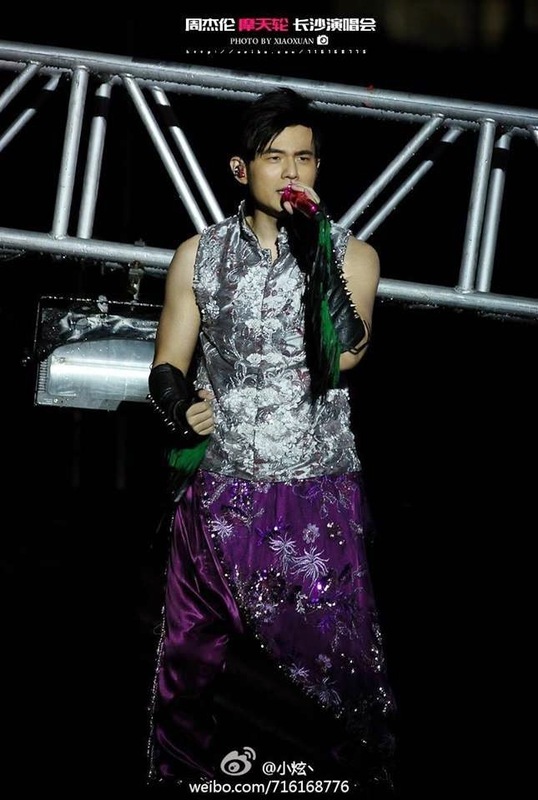 Jay Chou / 周杰伦: What's in a name?